You know that I’m a huge Audible fan and I’ve been using it for years (if you’re new to Audible, I wrote a whole post about how to use it here). But like most tool, there are always a bunch of features you’re not really using or don’t even know about, and the “Share Audible Book with Friend” feature is one I just discovered! Every book that you own in your Audible Library, you can share with one friend. 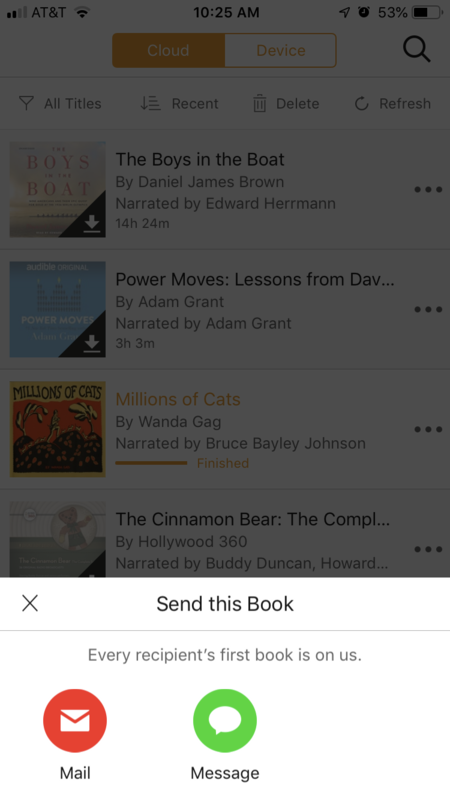 It’s totally free and you can easily send the Audible book of your choice right from the app. If you’re listening to a book that you’re loving and think that your mom would love it too? Two clicks and she can listen for free too. Or if you’re listening to a book club pick, you can share it with a fellow member of your book club who also has more time to listen to audiobooks than to read. 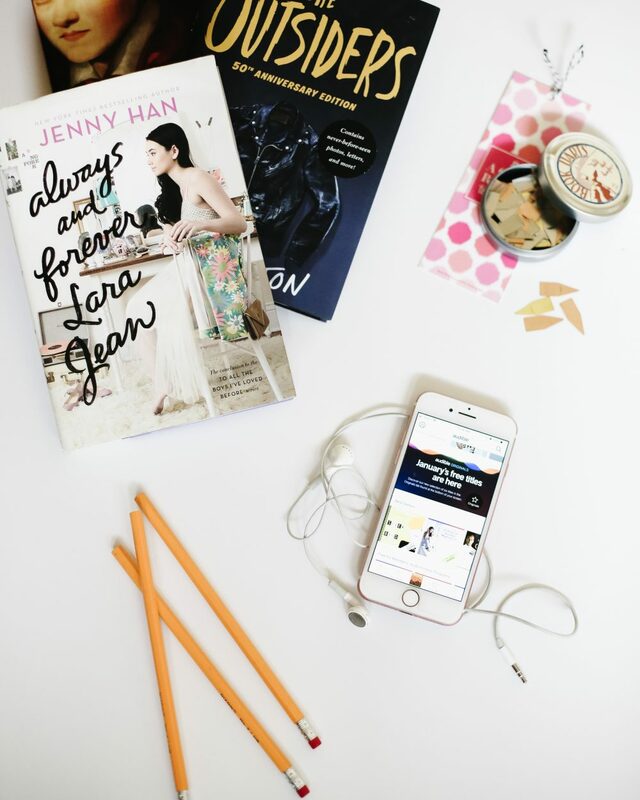 Yes – you can only share Audible books with the same friend once. So if you send The Boys in the Boat to Sue, she’ll get a free copy of it, but you can’t send her any more free Audible books. And she can’t receive a free one from any other friends. (Who is Sue? I have no idea – it was just the name that came to my mind for this example). 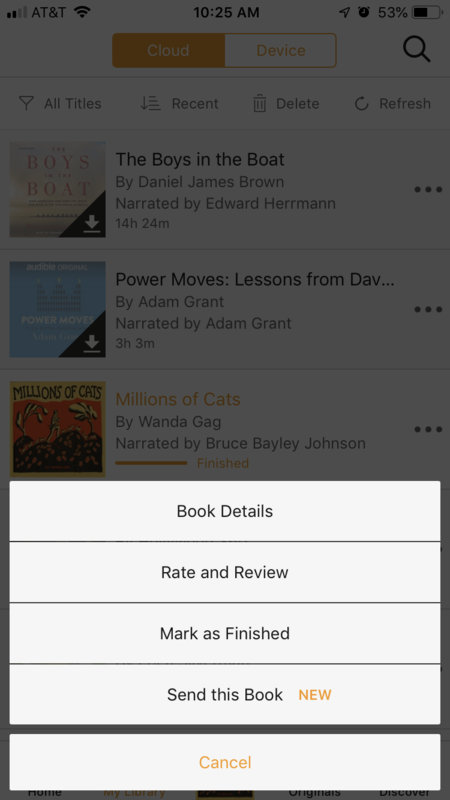 To share an Audible book with a friend, just open your Audible app and push the “My Library” button at the bottom of the screen. Then find the Audible audiobook that you want to share and tap the three dots to the right of the title. Tap that and it’ll give you the option to email or text the download link to whatever friend you’d like. Plus, you’ll look like the most thoughtful friend, neighbor, sibling, aunt or book club member on the planet. Which I always consider an extra bonus in life. P.S. If you’ve never used Audible before, you can sign up for a free 30 day trial here and get TWO free audiobooks. No friends required. Can you share a book even if someone already has an audible account? Thank you, Janssen. I used this information to swap audible books with a friend today! YAY! I’m so happy to hear it! I love this feature and use it all the time when I’m trying to convince people to try audiobooks. I also LOVE that you can return books on Audible. If I listen for hour or so and am not engaged or don’t like the narrator, I always return it. If I share a book is it still in my library also or do I lose it?